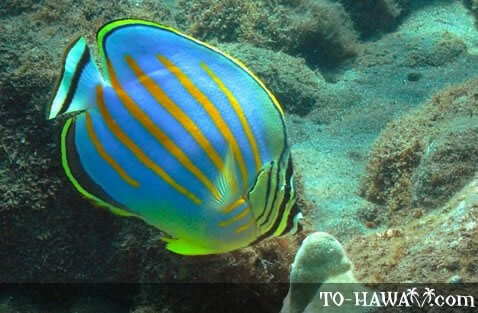 Butterflyfishes are among the most common coral reef fish species in Hawaii. They are yellow in color with disk-like bodies. While many fish blend in with their environment, butterflyfish are just the opposite - they stand out - drawing attention toward them. One may think that this could be to their disadvantage. However, their bodies' look has some interesting features. First of all, they can swim fast and can easily hide in narrow crevices since they are so slim. Second, many of them have a black streak across their eyes, effectively disguising them. To confuse predators, many have a black dot near their tail, which looks like an eye. 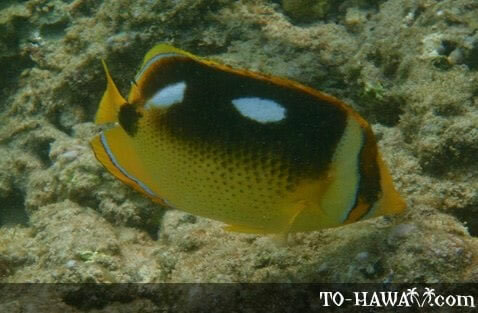 They can be seen feeding on the reef. 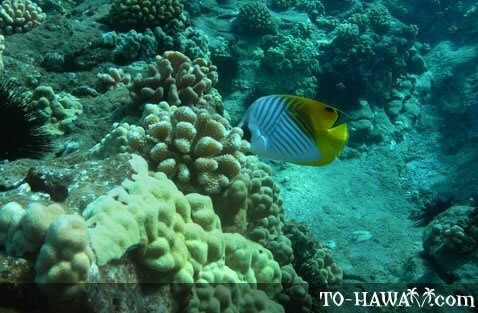 Butterflyfish are believed to mate for life. 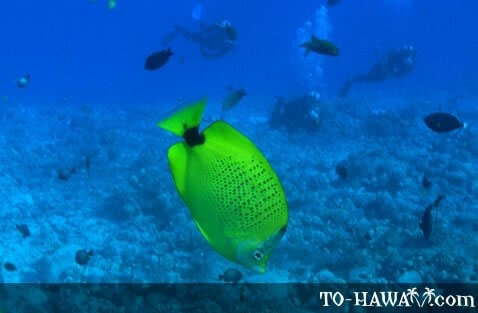 In the Hawaiian language, they had several names, including kikakapu ("strongly prohibited"), lauhau ("leaf of the hau tree") and lauwiliwili ("leaf of the wiliwili tree"). 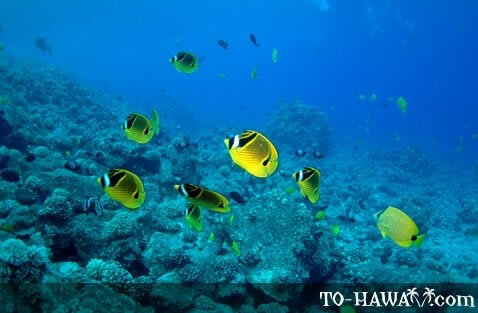 There are about 130 species of butterflyfish worldwide, of which 23 can be found in Hawaiian waters.